“Iwuagwu Felix Emeka” popularly known as “TR Rockz” is a Port-Harcourt based, Nigerian ace music producer, sound engineer, recording artiste and the chief executive officer of Studz Recordz/Rockcity Empire. 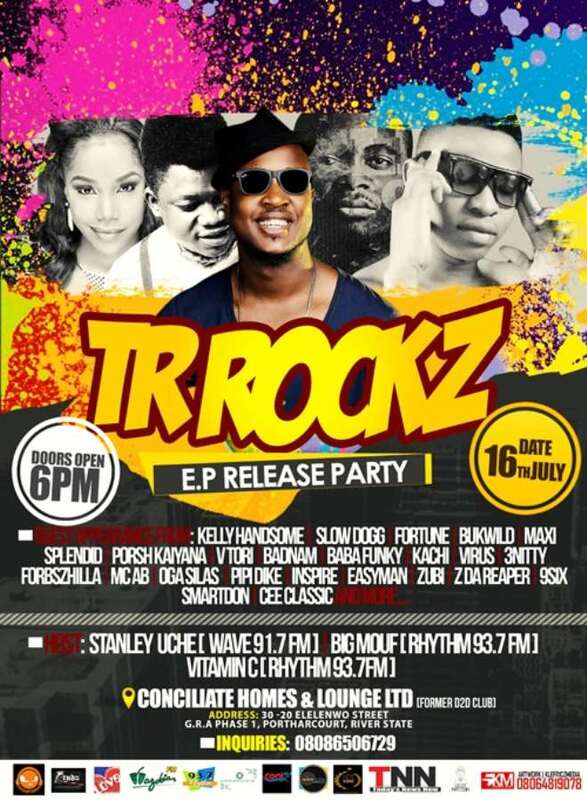 TR Rockz has engineered songs/albums for some of music’s established and emerging artistes, such as Kelly Hansome, Waconzy ‘Jangolova’ featuring Banky W, Maxi, Bukwild, Dope and Zubi. TR Rockz is 10 years in music and still counting. After 10 years of managing the recording and production of other performer's music, the entertainer's first body of work is finally complete and to celebrate its debut, he is throwing a release party on Saturday, July 16th, from 6 p.m. at Conciliate Homes & Lounge LTD Portharcourt, Rivers State. With support from Kelly Hansome, Slowdogg, Fortune, Bukwild, Maxi and more, the event promises to be a big one.